Indianapolis has many festive autumn and Halloween-themed events in October, but if you're looking for other things to do, fear not. You'll also find air races, 5K runs, and pub crawls. 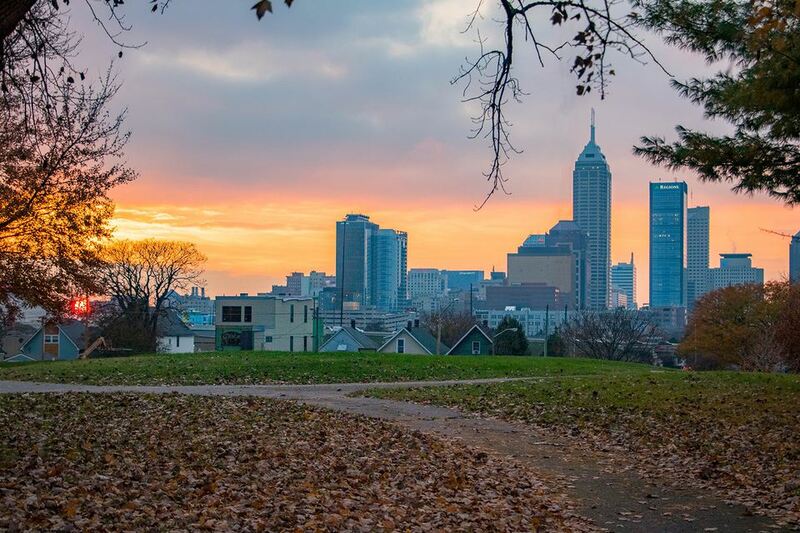 Check out this events calendar for Indy's top activities in October. The Indianapolis Motor Speedway does not just host automobile races. This October, during Columbus Day weekend, the historic home of motorsports opens its gates to exciting aerial races. After plane races of more than 250 mph, you’ll see the first-place pilot crowned as world champion. You can also visit the hangar, enjoy world-class foods and beverages, and see how the pilots prepare for races. Children 15 and younger get in free with a paid adult admission. Honor the businesses and charities in the Fountain Square cultural district by participating in this 5K run or walk. Called Run(317), which stands for "3.17" miles the distance in miles of the run/walk. After the event, those 21 and older can enjoy complimentary craft brews, live music, and food trucks at the fun post-race party. Proceeds from the food trucks will go to Keep Indianapolis Beautiful. Come to Crown Hill Cemetery for some bone-chilling ghost stories—if you dare. Before the ghost stories start, meet at the beautiful and historic Waiting Station building and talk with the storytellers. Complimentary drinks and food will be provided at this ticketed event. You do not have to be Scottish to attend this entertaining annual event at German Park. At this charity event, you will learn about Scottish traditions, history, and culture. Live music and dancing are also featured. The festival’s highlight is the caber toss and other competitive highland sports like the hammer throw, stone throw, and more. At this 21 and older event, Indianapolis bars in various locations in the city will host a two-night pub crawl. Your ticket includes food or drink gift cards, cheap drink specials, and no cover at the bars. Those dressed for Halloween can participate in a costume contest with a $500 grand prize. Transportation between bars is not included. A portion of the proceeds goes to local charities. Celebrate all things German at Athenaeum, Indianapolis’ center of German heritage. Featured at this family-friendly event are the wiener dog races, the OktoberFAST 5K run/walk, and kids’ play area. You won’t want to miss the competitive Durstig games and Strong Man competition. Of course, you can also enjoy German food, beer, dancing, and live music. Make sure to wear your lederhosen if you have them. Proceeds go toward the care of the Athenaeum, a former German clubhouse and gymnasium built in Germanic style in 1983. The building was added to the National Register of Historic places in 1973. If you’re a car connoisseur, you won’t want to miss Cars and Coffee at Gateway Classic Cars of Indianapolis. This hassle-free event happens the last Saturday of every month. Drive your prized classic car—or just come to admire them—at the showroom for a morning of free coffee and donuts. Talk to other car aficionados and classic car owners, and check out Gateway’s latest arrivals. See the NFL Indianapolis Colts football team in action at Indianapolis's Lucas Oil Stadium. This top-notch facility opened in 2008 and features a retractable roof over a seven-level facility that seats 63,000 fans. Be Scared at the Indianapolis Zoo's ZooBoo Event!